First one to reach the place! Had a hard time looking for it, then I learned na it's a new cafe! I love that it is not your usual crowded, hyped coffee shop. And quaint and dainty ng feel nya, with the wooden walls and floors. It's a concept cafe daw -- everything inspired by Japan's coffee shops in AKIBA (a place in this country pala na tech and coffee shops district, please confirm Ashley Dy?;)). Hot coffee, forever my favorite! Best to order this with your drink, for only P35! First time to appreciate GREEN TEA! I love the taste of this drink! Ang soothing and smooth ng feel nya, and with that parang mapupunta siya sa list of comfort foods ko, haha! Notable din ang temperature... Hindi suuuper init na nakakapaso inumin! 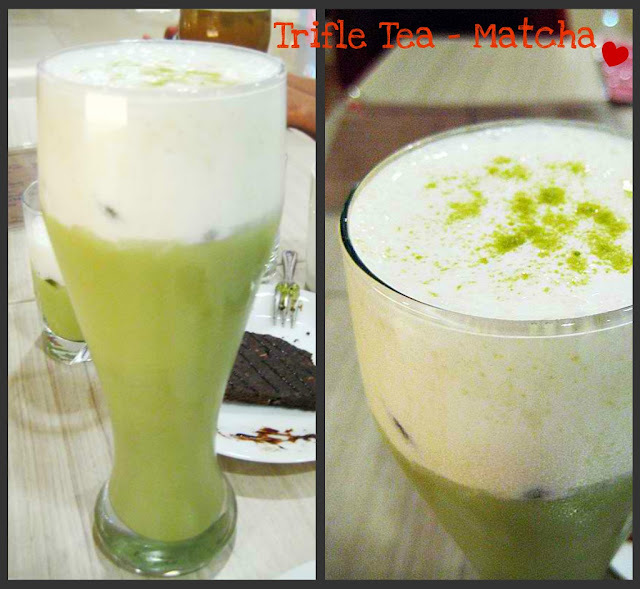 The Matcha Trifle Tea is AKIBA's cold refreshing fresh tea topped with original Japanese trifle cream! Healthy ice-blended yogurt drink with whipped cream on top. I am not good in reviewing foods (sakin basta nakakain ko, masalap! Haha! 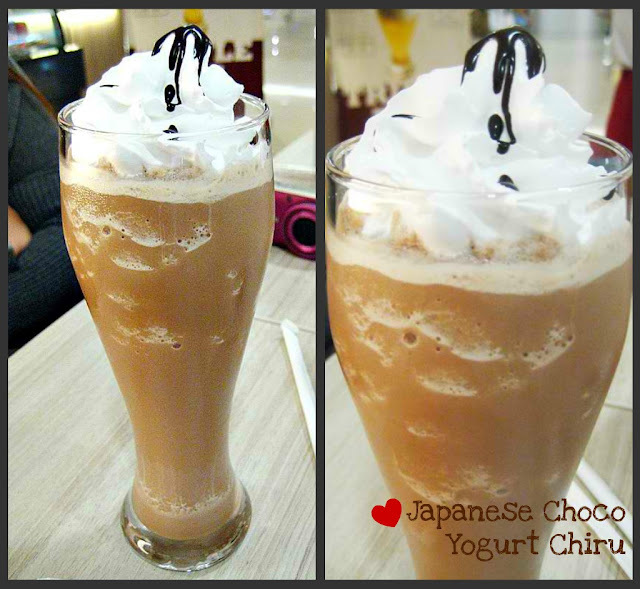 ), so do read Sarah Tirona's very pro review of each AKIBA drink we had HERE. true! the green tea ang must try! Seems like a great coffee and catch-up place...sayang i didn't get to try it..